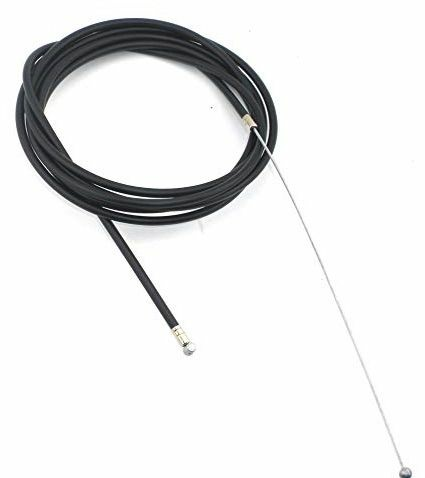 Heald 3-Wheeler Throttle Cable. For Haulmaster/Heald Hauler (Trike) with dump box. Home > Powertec Parts and Belts > PowerTec 1" Twist Grip Throttle Kit for Heald/Kimball Hauler > Heald Hauler Throttle Cable Kit for 3-Wheeler with dump box bed. Heald Hauler 3-Wheel Trike Throttle Cable Kit. Heald Hauler Throttle Cable Kit for 3-Wheeler with dump box bed. --> This item can only be ordered by phone at this time. 203-036 Heald Hauler, Haul Master Drive Belt. Salsbury-Comet 203-036 CVT BELT. Heald Hauler, Haul Master 203036 Drive Belt. Salsbury-Comet 203-036-DF CVT Belt for Comet 40 Series drive clutch on vintage Haul Master/Heald Hauler trike vehicles. Symmetric Belt.